You would be hard pressed to find a better source of information, best practices, great networking and much more. Come and be a part of the movement this week, whether you are a builder, architect, demolition contractor, salvager, government project manager, politician or average joe working to stay abreast of the latest building industry trends. 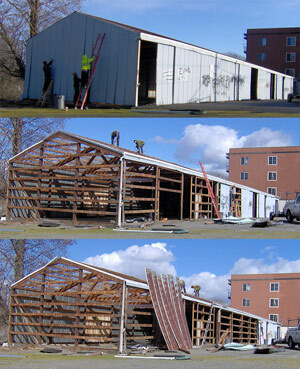 The RE Store has over 13 years of experience taking down buildings, including case studies on our website. Contact us today for a bid on your project. What topics would you like to learn about, in regards to deconstruction?